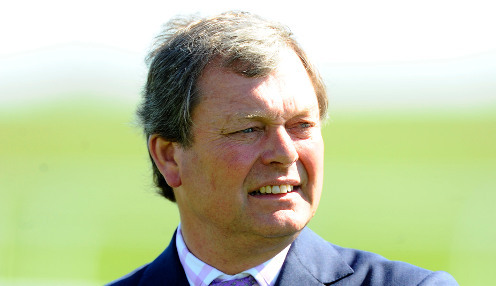 William Haggas admits last year's runner-up Tasleet has been craving the soft ground that will prevail for the Sprint Cup at Haydock on Saturday afternoon (16:15). Going conditions at Haydock were described as soft (heavy in places) on Saturday morning, with more rain forecast for Merseyside and officials expecting a change to heavy at some stage during racing. That will be music to the ears of Haggas when he saddles 6/1 chance Tasleet. The five-year-old was no match for Harry Angel last year but he beat home the rest of the field, finishing second in a Group One for the third time last season. We've had to wait but he's ready to go and in great shape. He has only raced once this season, finishing third behind subsequent Diamond Jubilee winner Merchant Navy in the Greenlands Stakes at the Curragh in May on good to firm ground, and Haggas admits it has been a waiting game since, given the quick ground all summer. "He was second in three Group Ones last year. He's only run once this year because the ground has been appalling for him so we've had to wait but he's ready to go and in great shape. I'm pretty happy with him." Reigning champion Harry Angel is 6/4 to cling to his crown for trainer Clive Cox in the Sprint Cup. Tasleet won't have the services of champion jockey Jim Crowley, who has chosen instead to partner Commonwealth Cup winner Eqtidaar for Sir Michael Stoute. Three-year-old's have won the previous four Sprint Cups and Eqtidaar is 20/1 to continue that run now. Angus Gold, racing manager to Sheikh Hamdan Al Maktoum, feels he is a maturing horse. "Although he won the Commonwealth Cup at Royal Ascot, he was still quite an immature horse earlier in the season," he said. "Sir Michael thinks Eqtidaar has come back to himself now. When Jim (Crowley, jockey) won on him at Royal Ascot he said the Group One sprint on Champions Day in October would be his absolute race. "I am not sure the July Course at Newmarket really suited him last time out. I am not saying that is why he was beaten that day, but he is back in good form now after his break and Jim was very happy with the horse when he rode him the other day."